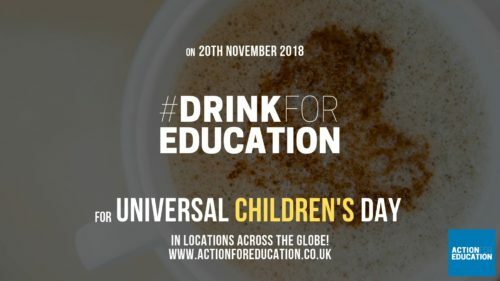 For Universal Children’s Day 2018, we’re inviting you to #Eat and #Drink for Education. To support access to education for refugee youth in Greece, we’ve partnered with coffee shops in across the world. On this important day, show your support for education by buying a coffee or snack and show solidarity with displaced communities fleeing war-torn countries. All money raised goes towards Action for Education’s (AFE) programmes in Greece. AFE runs projects that build pathways into eduction for children and youth.